The number one reason for tablet press failure is lack of tooling cleanliness. 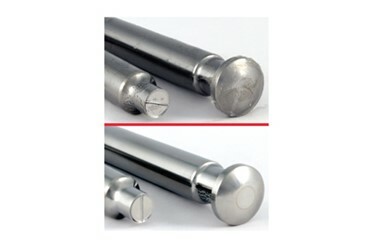 Dirty tooling may cause binding, which can damage tooling and tablet presses. Keeping tools clean can decrease premature tool wear and allow lubrication to be more effective as well as reduce the possibility of product cross-contamination. Additionally, clean tooling is critical to the production of quality tablets. Dirty tools can cause tableting and product quality-related problems, including picking and sticking. Excessively worked or improperly maintained tools can create a downstream of production difficulties. With properly cleaned and maintained tooling, tablet manufacturers can expect the highest quality of tablets and a longer production life from their tooling. It is critical that tooling is thoroughly cleaned and dried to remove any oil or product residue from the tablet press. A cleaning procedure that involves minimal human interaction is recommended to ensure that tools are cleaned consistently and to reduce the potential for damage. Read how ultrasonic cleaning is the more effective cleaning system while reducing costs and cleaning time.